Principle Engineering has over 30 years’ experience in the electro mechanical engineering industry. We are the only authorised agent in the UK and Ireland for GRW Ball Bearings and Ball Bearing Assemblies and SycoTec Industrial Drives, we also provide British manufactured bespoke and specialist Rotary Shaft Encoders, replacements for obsolete encoders and Ruggedised encoders for demanding applications. 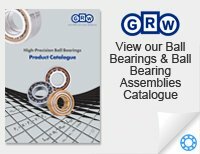 GRW are one of Germany’s most prestigious ball bearing and ball bearing assembly manufacturers. 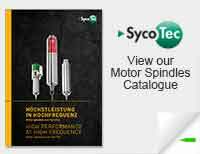 SycoTec are a leading design and manufacturer of innovative drive solutions such as AC high speed motor spindles, DC high speed motor spindles and custom motors and motor elements (high speed rotors and stators), for industrial and medical applications. At Principle Engineering we develop close working relationships with our customers and suppliers. Using our combined experience and knowledge we strengthen your team. We provide as much support as you require providing you with offers, technical advice and full support. Your orders are placed directly with our partners GRW or Sycotec which ensures the most efficient way of working. We understand that being responsive is important to our customers. Free technical advice, trial units, tailored solutions and the ability to expedite urgent requirements within 24 hours are just some of the benefits we can offer. With reliable deliveries, short lead times (measured in days) and competitive prices we can save you time and money. Our great after sales service, technical backup and warranty assures our customers peace of mind. We are a ‘can do’ company that relishes the opportunity to take on your problems, so why not challenge us today! 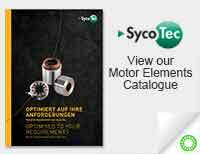 For more information about GRW ball bearings and assemblies, Sycotec industrial drives and rotary encoders please browse our product pages, take a look at the catalogues below or contact us.